It had to happen; I devoted a corner of the site to me! Shameless self promotion. Well it would be if I had anything to promote. Luckily I don't. 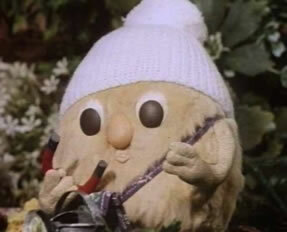 Pootle Flump was and still is my childhood idol. Check out this Flumps site and have a listen to the shows theme tune……. *goes off tadaaaing….. tada…tada…ta da da daaaaa* Class stuff! I live on coffee. Food helps naturally, but coffee is the lifeblood. My favorite quote (or rather quotes as I have two) are from Oscar Wilde. I will spend the rest of my life puzzling the second quote. Should I ever discover the true meaning then I would have achieved everything I ever wanted to. There will be no more. Existence is futile then.